One of the most common problems orthodontists treat is the discrepancy that occurs when the upper teeth protrude or stick out beyond the lower teeth. When we see a patient in which the upper teeth are protruding, we tend to think that the upper jaw and teeth are too far forward. Usually, however, this condition is due to a small lower jaw that is further back than it should be. With these patients, we would like to encourage the lower jaw to come forward, and braces in conjunction with an appliance such as the Herbst can help this happen. Even though the Herbst appliance postures the lower jaw forward and prevents it from moving backward, opening and closing movements still occur easily, and patients do not have any problems learning to chew their food with their lower jaw in this new position. As with all kinds of braces, patients with Herbst appliances must be careful about what they eat. Sticky foods such as caramels, bubble gum, and candy suckers will pull the brace away from the teeth. Hard foods like crisp vegetables and hard candies will bend and loosen the Herbst appliance, too. It is important that you avoid these foods during your orthodontic treatment. Your Herbst appliance will be checked and adjusted at your appointments. If you develop sore areas on the inside of your cheeks between appointments, please do not try to adjust the appliance yourself. Call for an appointment so that the necessary adjustments can be made by your orthodontist. At first, your mouth will feel unusually full, and speaking will be awkward. If you practice reading aloud, your ordinary speech will return quickly. You may also notice more saliva than normal. This will decrease as you become accustomed to the appliance. Interproximal recontouring refers to a procedure in which your orthodontist will reshape your teeth by sculpting the sides or edges of the teeth. This can aid in the correction of cracked, chipped, crooked, or misaligned teeth. In addition to braces, crowns or veneers, interproximal and enamel recontouring can change the shape and look of your teeth in order to improve dental alignment and ultimately enhance your smile! 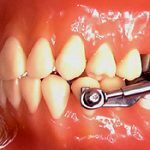 The Nance Appliance is used to prevent upper molars from rotating or moving forward after extraction of primary teeth or during your orthodontic treatment. 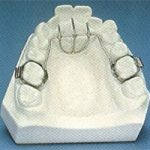 Some patients wear the Nance Appliance while they are awaiting their permanent bicuspids or premolars to erupt into place. 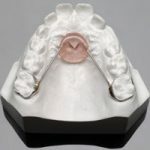 The appliance is made of two bands that are cemented onto the first molars in addition to a wire that spans the roof of the mouth from one molar to the other. An acrylic pad or “button” covers the wire that touches the roof of the mouth directly behind the front teeth. Patients should brush around the bands daily. Do not eat sticky, chewy candy, as it can loosen your appliance. Sucking is a natural reflex that relaxes and comforts babies and toddlers. Children usually cease thumb sucking when the permanent front teeth are ready to erupt. Typically, this takes place between the ages of 2 and 4 years. Thumb sucking that persists beyond the eruption of primary teeth can cause improper growth of the mouth and misalignment of the teeth. If you notice prolonged and/or vigorous thumb sucking behavior in your child, talk to your dentist. One solution to thumb sucking is an appliance called a “fixed palatal crib.” It sits behind the upper front teeth along the roof of the mouth and is barely visible. The crib consists of semicircular stainless steel wires that are adhered to the molars using steel bands. The crib usually stops the habit of thumb sucking within the first month of use. Tongue thrusting occurs when the patient presses his or her tongue against the front teeth, usually when swallowing, speaking, or resting the tongue. If thrusting is constant, this can cause problems with teeth alignment and must be fixed. We prefer to correct tongue thrusting by giving patients a tongue thrusting appliance. This appliance is similar to the Thumb / Finger appliance and is a fixed appliance that is prescribed and can only be adjusted by your orthodontist.